Larger grained decorator's sugar makes these cookies even prettier, but everyday granulated sugar works as well. These are great cookies to bake for the holidays or a lunchbox treat. 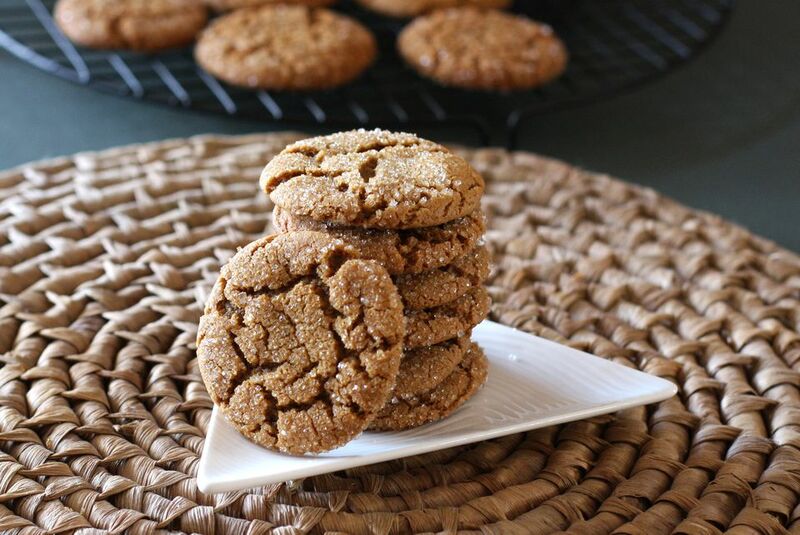 Choose light or dark molasses for these cookies. Blackstrap molasses will produce darker cookies, and they will be a bit stronger in flavor and slightly less sweet. In a mixing bowl with an electric mixer, beat the shortening and brown sugar until smooth; beat in molasses and egg until well blended. In another bowl, combine the flour, soda, cinnamon, ginger, cloves, and salt; stir to blend the dry ingredients. Add to the dry ingredients to the first mixture and stir until thoroughly blended. Cover the bowl and refrigerate the cookie dough for 1 1/2 to 2 hours, or until thoroughly chilled. Grease cookie sheets or line them with parchment paper or silicone baking mats. Add about 1/2 cup of granulated sugar to a small bowl. Have a bowl of water nearby, along with a flat-bottomed cup or glass. Form dough into 1-inch balls. Dip the top of the balls into the sugar, then place, sugar side up, on the baking sheet. Leave about 2 to 3 inches between balls. Dip the flat-bottomed cup or glass lightly in the bowl of water. Gently press the top of each cookie with the wet bottom of the glass or cup to moisten lightly. There's no need to flatten the balls; the cookies will spread while baking. Bake for 10 to 11 minutes, until cookies, are set. Let cool for about 1 minute on the cookie sheet. Remove the cookies to racks to cool completely.